Staying at the Arrowwood Lodge at Brainerd Lakes is like retreating to a cozy cabin—just with all the comforts of a modern hotel. 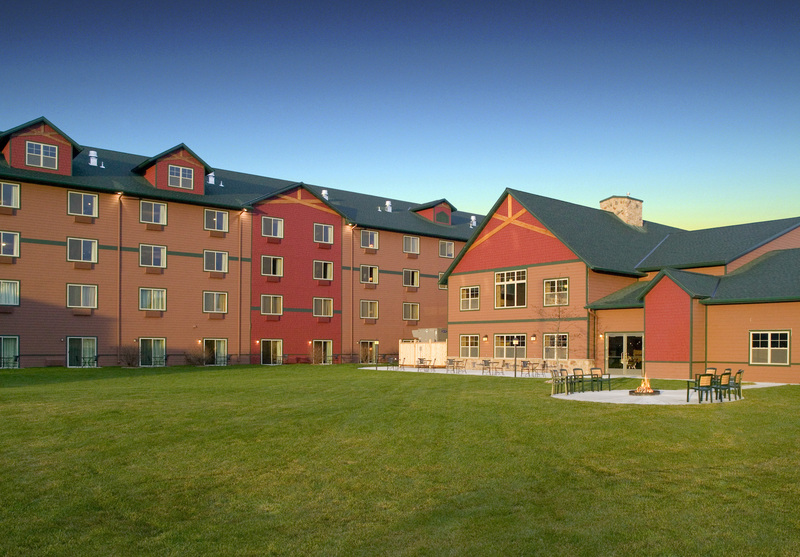 Our Lodge is known for its rustic beauty, indoor waterpark, Baxter’s Bar & Grill, and elegant meeting and event spaces. We’re located in Baxter, Minnesota in the heart of the Brainerd Lakes. We invite you to plan your next family getaway, romantic weekend, or business meeting with us. Our spacious rooms and suites have a rustic charm but don’t skimp on hotel conveniences, like free Wi-Fi, a mini-fridge, and microwave. Baxter’s Bar & Grill is right in the Arrowwood Lodge and is raved about by locals and hotel guests. Join us for an infamous Bloody Mary or a juicy burger cooked to order. Our Indoor Waterpark is our top lodge attraction. Spend a day going down waterslides or lounging by the pool, or gather your group for outdoor sand volleyball or a variety of lawn games. Everything you need for outdoor and indoor fun is here.